It’s not completely perfect but not far out. I’ve edited this a few times and I think I’m happy with this edit. A slight reflection in the water and very little detail in the sky. For me, it gives a peaceful calm feel, almost like you’re alone with the pier when in reality it’s never quiet there. 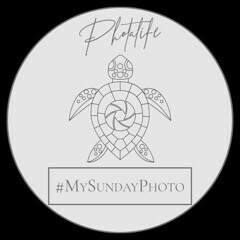 So, #MySundayPhoto is back…well sort of. The plan is to run it on the last Sunday of the month. I’m going to be strict with the posts linked up in the hope it will make it more enjoyable for everyone. Posts that are obviously just linked up and then that person runs off will be deleted. It has always been such a friendly and welcoming place and 99% of people understand that.